Think of a scientific genius and one thinks of Newton or Darwin, and of Einstein. Few other names will spring to the minds of most members of the general public. This is because the subject of science ranks very low in the public consciousness, despite its pre-eminant role in the creation and shaping of the world we now live in. Sadly science gets little coverage in the media and the heroes of modern popular culture tend to be pop stars, film stars, sports stars - perhaps no one of any historic consequence. It is therefore unsurprising that many of the greatest minds in history have escaped public recognition, and are known only to those who possess a deep interest in the sciences. One such genius was Christiaan Huygens, The times in which this Dutchman lived were such that it was possible for someone of great intelligence to dabble in many different fields and yet still make significant contributions to all. 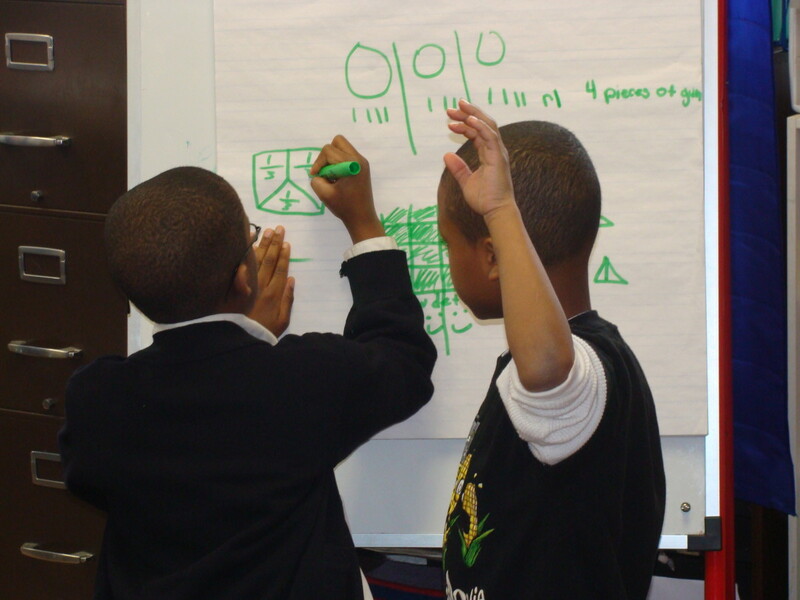 With the scientific implements of discovery like telescopes and microscopes still in their infancy there was much to explore. Huygens not only contributed to the design of these instruments but then used them to uncover new knowledge about space and about microbes. His work on the many puzzles of mathematics and physics broke new ground in almost all fields, and his speculations on matters which could not be solved by science revealed a revolutionary foresight and awareness of the world and the universe around him. This page briefly relates the life story and extraordinarily varied accomplishments of Christiaan Huygens in so many different fields of research. Christiaan Huygen's name suffers from many different versions. Sometimes his first name is spelled 'Christian'. The man himself usually spelled his surname as 'Hugens', and 'Huyghens' may also be seen. 'Christiaan Huygens' is the most common spelling of the name however. Christiaan Huygens was born in The Hague in The Netherlands on 14th April 1629. 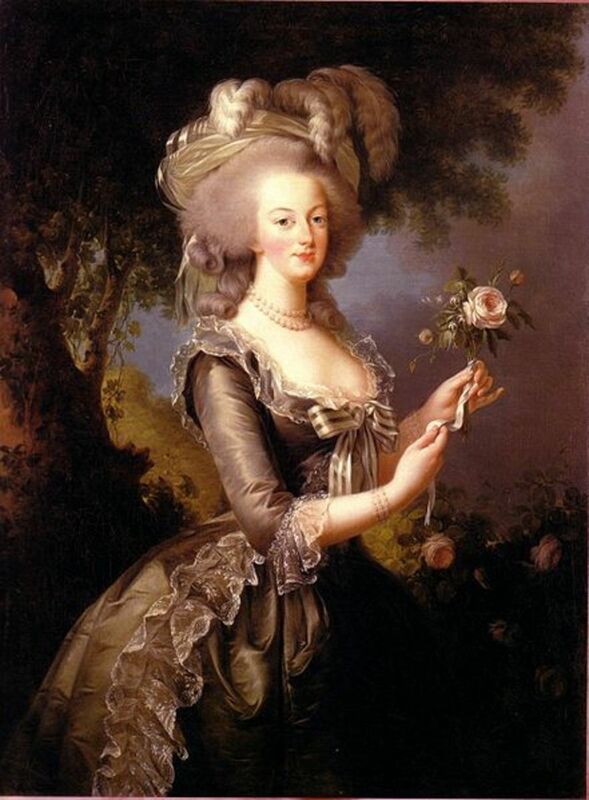 His early life wasn't always very happy - his mother died when Christiaan was only eight whilst giving birth to his sister - yet in some other respects he was extremely fortunate. His father Constantin was a diplomat, poet, composer and philosopher, and influential and creative people were regular attenders at the family home (these included the artist Rembrandt, whose career was largely backed by Constantin). Undoubtedly the most significant visitor was the philosopher and mathematician Rene Descartes, who came to know young Christiaan well. The boy received expert tuition at home in many different disciplines, becoming an accomplished musician, whilst learning French and English fluently. He also studied mathematics and science and built mechanical models. At the age of 16 Christiaan was sent to Leiden University for three years to study mathematics and law, and he then continued these studies at other colleges after leaving Leiden. Despite his aptitude in the sciences, in 1649 his first career path was as a diplomatic envoy, in which capacity he embarked on a series of journeys around Europe. This, however, would not detract from his true academic love; in 1651 Christiaan Huygens published his first scientific paper dealing with a number of problems in the field of mathematics. It was the first of many, By 1654, Christiaan was back home in The Hague where he turned his attention to the fine technical skills of lens grinding and polishing, specifically for the burgeoning science of astronomy which had been made so much more productive by the recent invention of the telescope. Huygen's innovative skills in this field led to new and improved optical lenses, and to more powerful scopes, and this in turn led to many significant discoveries in astronomy. 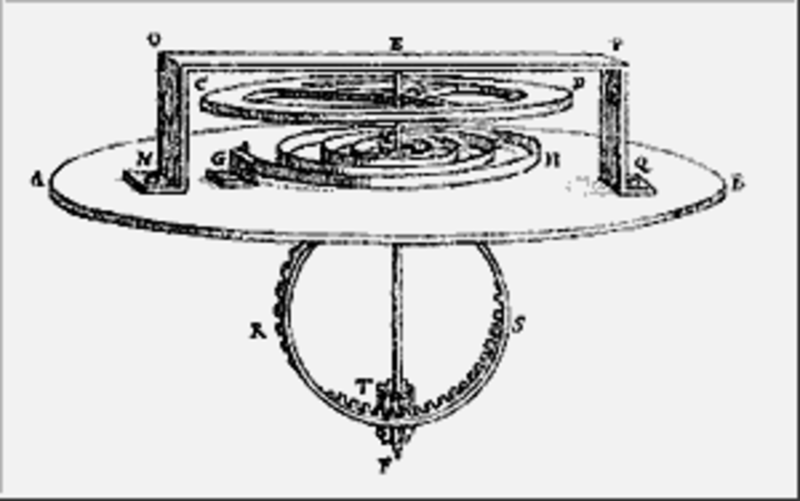 In addition to this, there is a strong association between astronomical observation and time keeping, so in 1656, 27 year old Christiaan tackled the problem of accurate time measurement and invented the pendulum clock, and he later made several other advances in effective clock and watch manufacture. By the early 1660s, international recognition was beckoning and Huygens was being invited to attend the most significant scientific meetings in Paris and London. Among numerous accolades, he was elected as a member of the Royal Society in London. A similar honour was soon to be bestowed by the French Royal Academy in Paris, and he then took up residence in that city for many years until a combination of ill-health and religious intolerance of his science forced him to return to his homeland in 1681. During his time in France, issues of physics had become his main focus of interest, including explanations of centrifugal forces, the movement of objects in a vacuum, and the nature of light and gravity, In the 1670s Huygens also built a microscope and used it to study microorganisms. In 1689, he made a momentous visit to London to meet the foremost scientist of the 17th century, Isaac Newton. It seems they got on well together, albeit with several disagreements on theories of light and gravity. In the final years of his life, Christiaan Huygens continued to write prolifically, interrupted only by bouts of severe ill health. Flights of remarkable fancy also took hold as he began to hypothesise about extraterrestrial life - something he strongly believed in. His theories were revealed in a book, 'The Cosmotheoros', which was withheld from publication until after his death, because he knew that, even in relatively tolerant Holland, his theories would be regarded as heretical. Christiaan Huygens died on 8th July 1695. Huygens shared his time on Earth with many others whose names have come down to us. This was no doubt both a blessing and a curse for Huygens in respect of his standing in the world of science. A blessing, because he could discuss and learn and jointly evaluate theories and discoveries. A curse, because to have to share the stage with other notables will inevitably dilute the achievements of the individual. Among the great men who were colleagues and friends, or in some cases rivals, of Christiaan Huygens were René Descartes, Pierre de Fermat, Blaise Pascal, Robert Boyle, Antonie van Leeuwenhoek, Sir Christopher Wren, Robert Hooke, Sir Isaac Newton, Gottfried von Leibniz and Edmund Halley. Huygens built his own optical lenses to incorporate into a new telescope - an improvement on those already in existence. He then used this new scope to study the planet Saturn. Huygens discovered the moon Titan in 1655, and in 1656, he was the first to uncover the true nature of the rings of Saturn as discreet structures which encircle the planet, as opposed to mere 'appendages' of Saturn, which was all that earlier astronomers like Galileo had been able to observe with their poorer quality instruments. In addition to this, his studies of the planet Mars enabled him to accurately calculate the planet's size and length of day. He was the first man to do this for another planet. He was also the first man to make a sensible assessment of the distance to another star. He chose Sirius, and his calculation was remarkably sound in theory. His calculation of this did produce an inaccurate result, but only because he was forced to make the necessary assumption that Sirius might be similar in intrinsic brightness to the Sun; we now know it to be much brighter in real terms than the Sun. 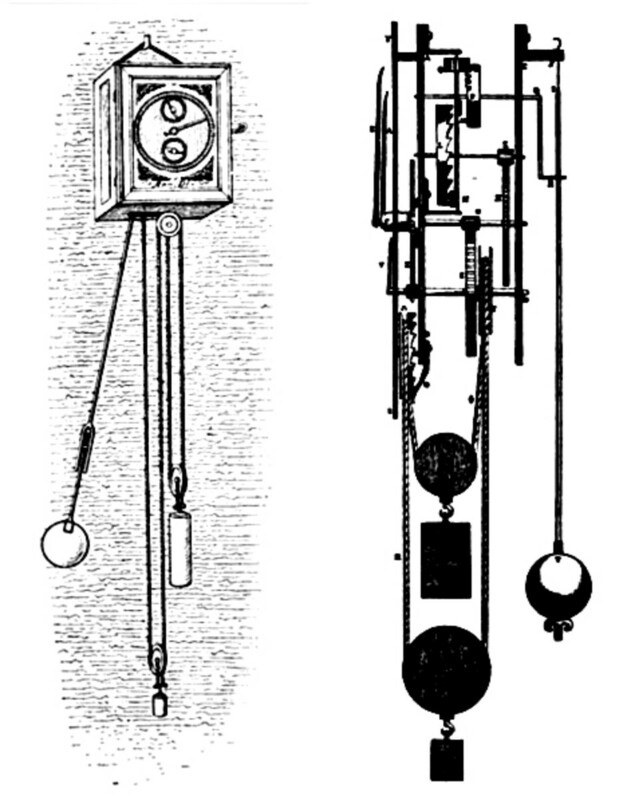 Perhaps Huygen's greatest invention was the pendulum clock, in which time keeping is maintained by an oscillating weight, suspended on a cord. Others, most notably Galileo, had previously studied pendulums and had recognised how the period of swing might be used in time keeping to drive the hands of a clock, but he had never been able to construct one. Huygens elaborated on Galileo's work, and his clock, designed in 1656 and patented in 1657, reduced the existing deviations in time keeping from approximately 15 minutes a day to around 15 seconds a day - a very remarkable improvement in accuracy. This was to make these the most precise time pieces for nearly 300 years. In conjunction with this, he went on to develop maritime clocks which would offer greater accuracy in the measurement of longitude, and hence he assisted in improving the navigation of ships at sea. Soon after, Huygens worked on a balance (hair) spring mechanism for pocket watches. This would control the rate of rotation of the 'balance wheel' which in turn controls the rate of movement of the hands. Robert Hooke in England was doing similar work, and there is debate over who should be credited with this invention. The general consensus seems to be that Hooke first had the idea, but Christiaan Huygens was the first to design and craft a functioning watch. The balance spring mechanism greatly improved the accuracy of small timepieces to just a few minutes deviation each day. Christiaan's meeting with Isaac Newton in 1689 was one of the great meetings of minds in history. Both men were working on theories of light and gravity, and it must be said that though the relationship was full of mutual respect, they certainly didn't agree on everything. Huygens did not believe in the action of forces in the same way that Isaac Newton proposed. Instead he believed in a mechanical explanation for such phenomena as light and gravity. His theory of light waves was founded on the idea of a 'medium' between the eye and an object, and he thought that light waves are the result of the mechanical disruption of this medium by the object, as seen by the eye. The behaviour of light as a wave still today forms the basis of our understanding of so many of light's properties, though of course Huygen's suggested mechanism of light generation does not. 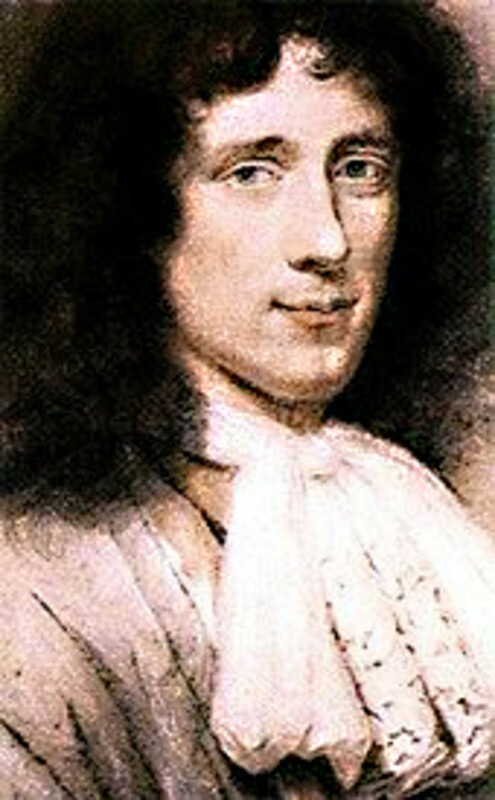 Most of Christiaan Huygens early work was in the field of mathematics with papers published in the 1650s on such matters as geometry, calculus, and the accurate determination of pi. He wrote the first book on probability theory 'Tractatus de ratiociniis in alea ludo', which he published in 1657. He wrote 'Horologium Oscillatorium' in 1673, on the mathematics behind the swing of a pendulum, and he later worked out the formula to calculate centrifugal force. He also studied the mathematics of a solid body falling in a vacuum. Physics was the science in which Christiaan Huygens was most prolific, working in almost every conceivable field including momentum theory, and gravitation, on which he published 'Discourse on the Cause of Gravity'. In 1678, he founded perhaps his most important theory - the theory that light might exist in the form of waves. In this he disagreed with Isaac Newton who was firmly of the opinion that light existed in a particulate form. 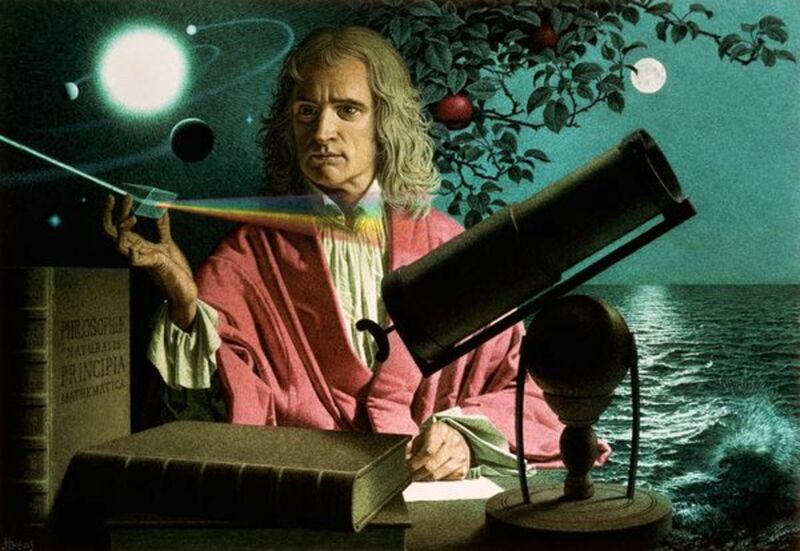 Huygen's theory, which had expanded upon the earlier ideas of Descartes, offered a much better explanation of such phenomena as reflection of light and refraction of light, although neither scientist could offer a comprehensive explanation of all the many properties of light. He would later publish his ideas on light waves in 'The Treatise on Light'. Even today, physicists believe that light has characteristics both of wave forms and of particles. In addition to general work on physics and mathematics, Christiaan Huygens also applied much of his work to a practical benefit. 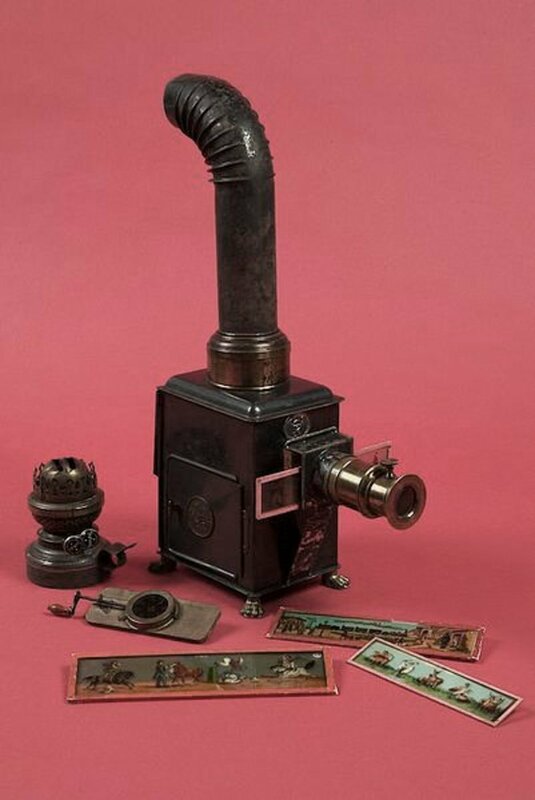 He experimented with the refractive properties of optical lenses, and became the inventor and first developer of the 'magic lantern', the earliest version of a slide projector in which an image on a glass slide could be enlarged and cast on to a screen. Christiaan Huygens also worked on the principle of an internal combustion engine, designing an engine powered first by gunpowder - seemingly a rather dangerous prospect - and then by steam. Although Huygens never managed to build a practical working model, his ideas helped inspire those who eventually did, more than a century later. Although Huygens was first and foremost a physicist and mathematician, that did not stop him exploring the life sciences too. He used his own microscope to study microbial life (recently discovered by Antonie van Leeuwenhoek) and these studies led him to speculate about the manner in which life could seemingly materialise in a glass of sterile water, as if by spontaneous creation. Huygens believed that there must be a more rational explanation and theorised that these microorganisms might be airborne, reproducing after entering the water. We now know this to be the case. 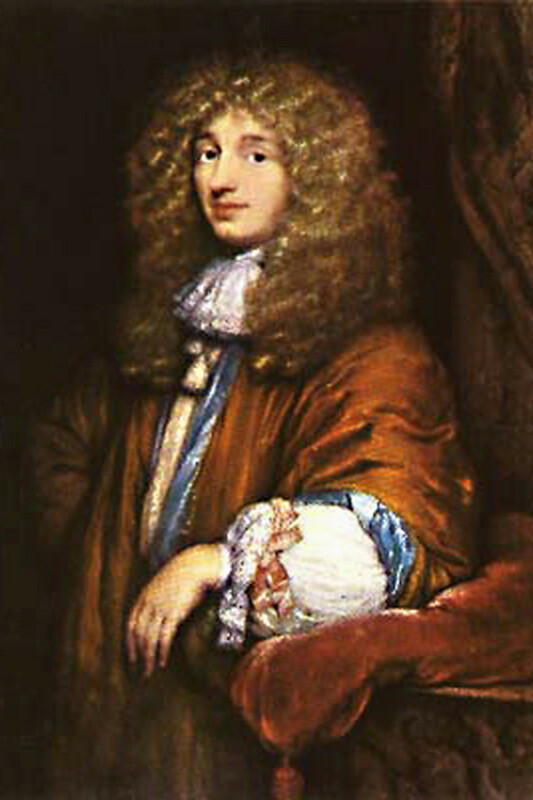 Christiaan Huygens was one of the first men to speculate seriously about the possibility of life in outer space - remarkable if one considers the times he lived in, when so little was known either of the cosmos or the evolution of life, and when such speculations may be regarded as heretical. (The full text of the first quote here is to be found in 'The Norton Anthology of English Literature'. It is quite charming with its 17th century turn of phrase, and with its speculation that aliens may actually be more civilised than we are). I started this discourse with the regretful note that Christiaan Huygens is not very well known to the general public. 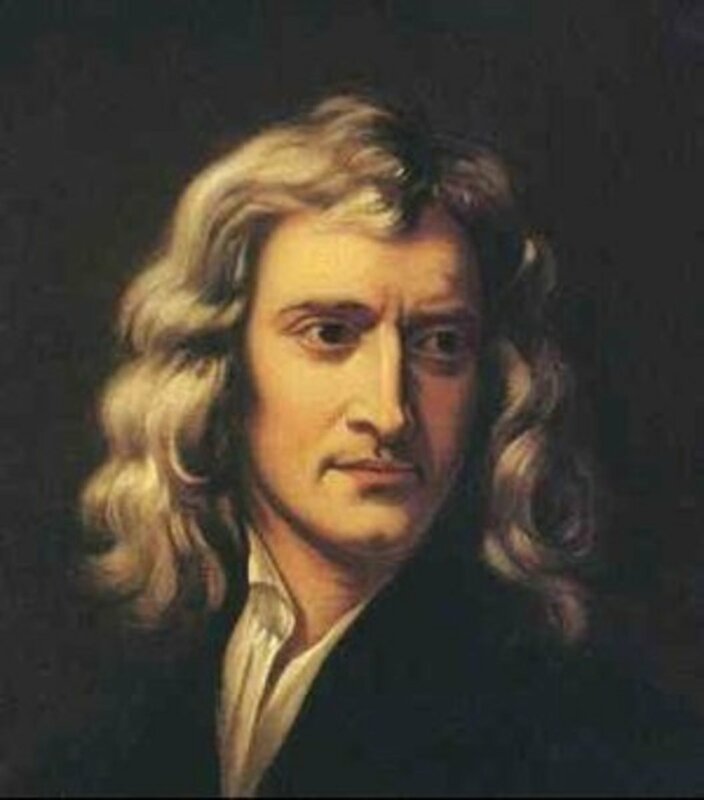 This man invented scientific instruments of so many kinds, he discovered new worlds and significant new facts about both astronomy and physics, and his mind drifted around in an extraordinary way. Perhaps this was his mistake - his interests maybe ranged over too many fields, diluting his impact in any one field. History tends to remember those who make an overwhelming contribution in one field - Newton for gravity, Darwin for evolution, Einstein for relativity. But Huygen's name does live on in numerous theories and principles of science, and in the names of landmarks on the Moon and Mars. And in 1997 a space mission was launched, destined to explore and photograph the planet Saturn. It was called the Cassini Mission. 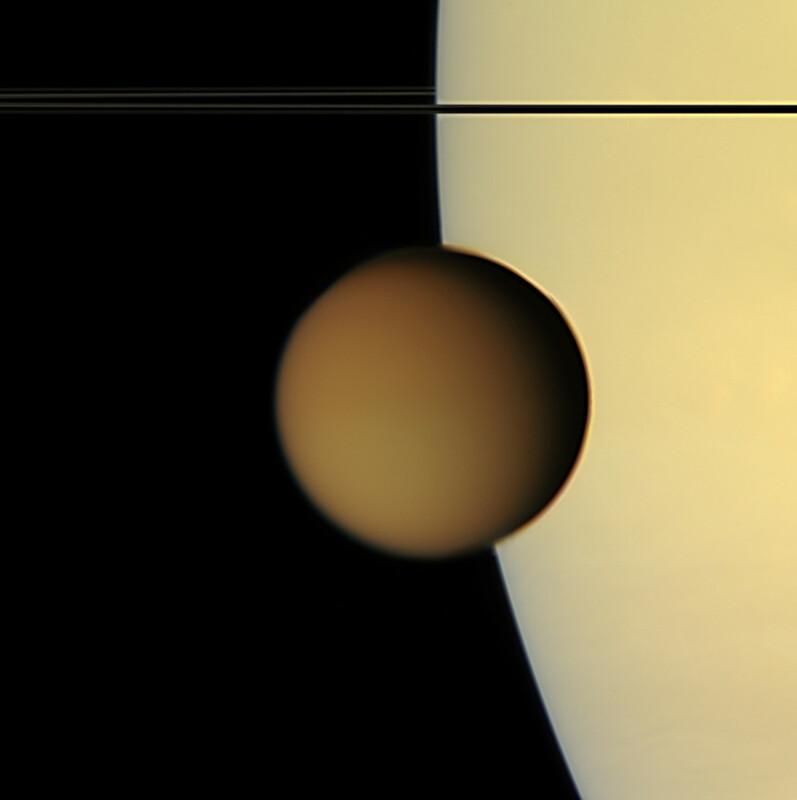 When it arrived, Cassini released a probe to land on the surface of the moon Titan. 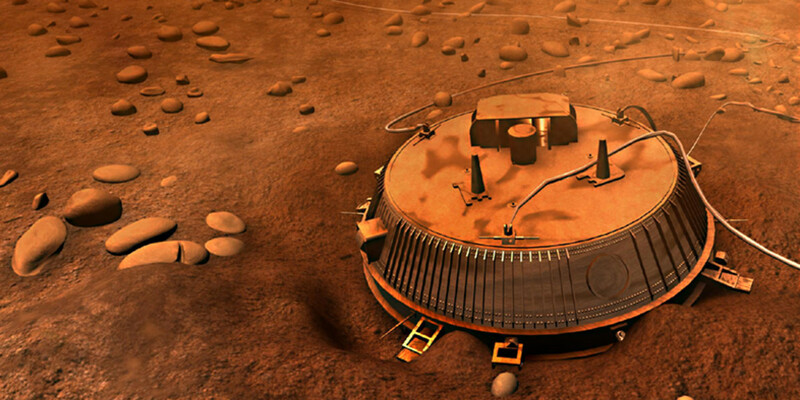 The probe entered Titan's remarkable atmosphere and landed on the surface on 14th January 2005. It then returned the first photographs and examined the nature of what we now know to be a most extraordinary world. The probe was called Huygens in honour of Titan's discoverer, and it will forever remain in the history books as the first man-made object ever to land on an outer Solar System body - a fitting tribute to the 17th century genius of the Netherlands. Below is a list of just some of Huygen's work, including discoveries and speculations not so far mentioned in the text. Improved optical lenses, leading to a better telescope. The balance spring to regulate time keeping in watches and portable clocks. Design of his own microscope. Designed, but could not build, an internal combustion engine. The nature of the rings of Saturn. The size and length of day of the planet Mars. Some nebulae and double stars. The fact that the Orion Nebula contains stars. The mathematical formulae to calculate centrifugal force, probability theory and contributions to many other problems of physics and mathematics. The belief that Venus might be covered in dense cloud. (It is). The belief that the emergence of microorganisms in previously sterile water was due to airborne carriage and subsequent reproduction in the water. (It is). 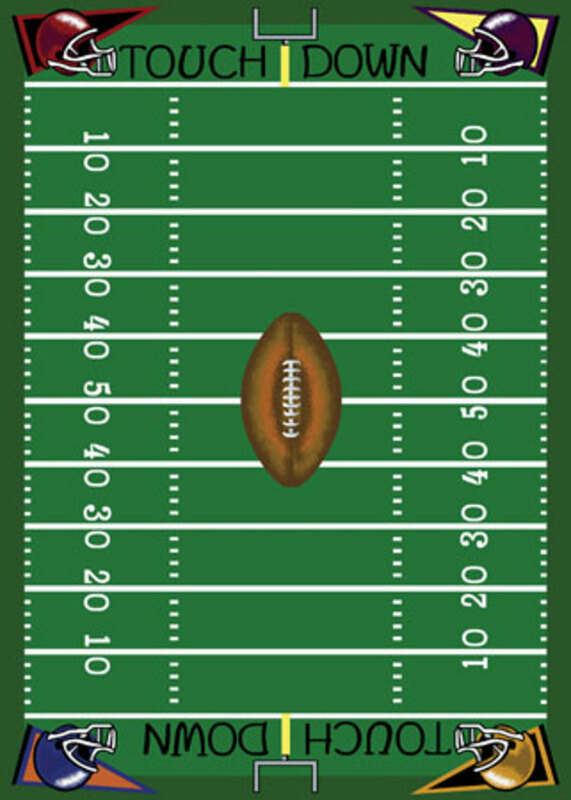 The belief that light was finite in speed. (It is). The theory that light moves and acts as a wave. (True in many respects). The belief that planets exist around other stars. (They do). 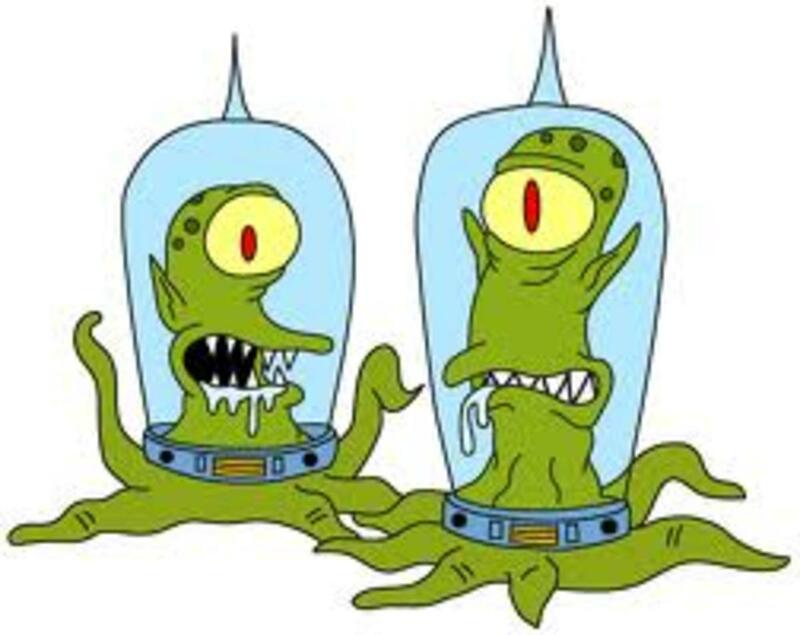 The belief that life, including intelligent life, exists on other planets. (Still to be proven). As well as pages about astronomy and science, I also write travel guides, film reviews, and articles and many other subjects which can be accessed at this link. Cosmotheoros: or, conjectures concerning the inhabitants of the planets. Translated from the Latin of Christian Huygens. A new edition, corrected. Thanks tamarawilhite (and apologies for not seeing your comment before). It is a fitting reward for a 17th century inventor and scientist that he should be remembered by a great piece of 20th century space technology which could venture out to the places he could only imagine. 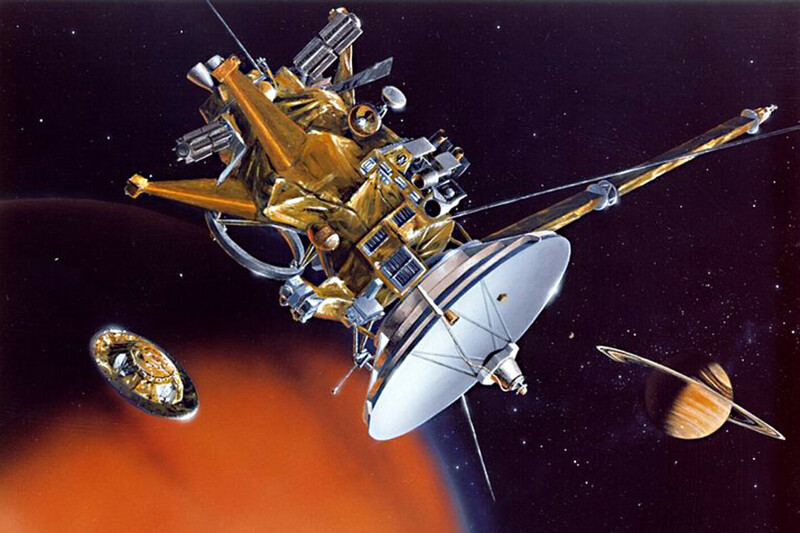 At least NASA remembered to name a probe after Huygens. Thank you so much for - as ever - your thoughtful comments. As far as the Orion nebula is concerned, this was one of the discoveries which typifies Huygen's successful marrying of both his practical genius (the ability to design and craft a better telescope) with his intellectual genius (using the scope to observe and theorise to best effect). It seems with the greater magnification and resolution of his new lenses, he was the first to see both the nebulosity and some stars within it, and appreciate the association of the two, and he was the first to sketch these in 1659. As far as the Huygens probe is concerned, if ever time travel became possible, I think one of my first trips back might be to visit Huygens on his deathbed and tell him all about the probe and our current knowledge about the moon he discovered! That would be wonderful. Alun, It's interesting how such a comparatively small country as the Netherlands has had such a tremendous impact throughout all places and times. It's equally puzzling why the country's achievements in some areas (art, tapestries, trade, tulips) are quite well known but surprisingly not in other regards. In regard to Christiaan Huygens, it undoubtedly does come down to what you suggest about all the competition in general and about the specialization by some contemporaries such as Sir Isaac Newton in particular. It's especially interesting to read the scientist's own words regarding extraterrestrials and gravity. It's downright heartwarming to read about the Titan probe. Thanks to your article, I'll think of him every time I look at Orion, the name of my favorite constellation and my favorite nebula. P.S. Also, it's really helpful that you so conveniently sequenced sample illustrations of the great man's great inventions. It makes for easy understanding and review. I thank you snakeslane. The sheer diversity of Huygen's work is the aspect which first attracted me - to think of a man who had the practical ability to improve optical lenses and invent the pendulum clock, the intellectual ability to formulate major advances in mathematics and physics, and the philosphical ability to speculate on such things as aliens and microbial life, is amazing. Some of the topics - particularly in mathematics and physics - of course would require many pages, and a more physics-minded writer than myself, to explain in detail, but my aim was to give a relatively easy to read overview, so I am so pleased you found the article interesting to read.